Before you think, "Oh my goodness, white furniture with a kid on the way?!" on me, hear me out. We will be ordering (hopefully soon) a sofa and a loveseat for the main living space. The type of leather we would be getting is super durable and easily cleanable unlike any fabric. Even with the protector on fabric it wont look nearly as nice 10 years from now as this will. Yes, I realize a kiddo with markers, pens, etc in hand could be potentially dangerous, but maybe if I just stick with those markers that only mark on the special paper that come with them and designate a space (ie. kitchen table with a vinyl table cloth on top) for crafting and art activities I can avoid any disastrous marks on the beautiful white furniture. I just love the idea of having beautiful furniture and having it be both kid and dog friendly. It's a perfect world in my mind. Dog hair, puke, snot, poo, drinks, and food would be easily vacuumed/wiped up! 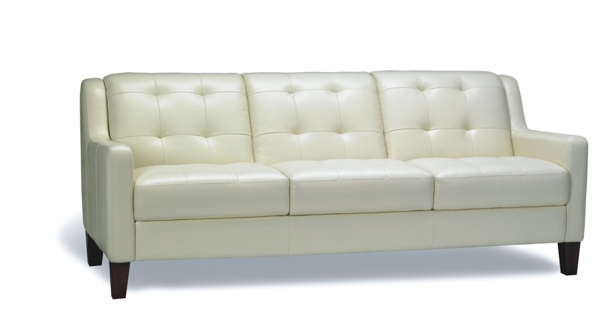 So, do you think I'm crazy for wanting white leather furniture? I think the white leather sofa is beautiful and a great idea!! Seriously, leather is easy to wipe clean. Love it, and the chair too! 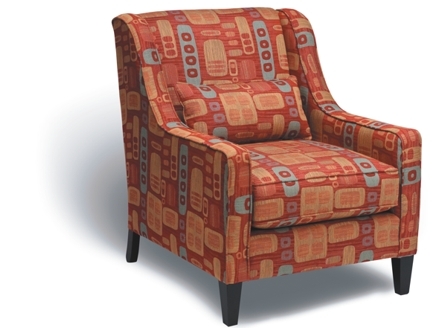 The couch is lovely, but you might want to also consider microfiber. I have microfiber and it has been aaaaaamazing with 2 baby boys :O) It has seen it all, marker, crayon, spit up, vomit, etc etc! And trust me, you might think you can keep those stinkers locked up (the markers, that is), but kids have a way of finding them ANYWHERE! Eli used a rubbermaid bin out of his closet to climb the counter to get a box out of a high cupboard the other day. They're ingenious, I tell you! We were told microfiber wasn't as resilient as leather actually. We actually put the order through today for the sofa and loveseat in white leather - exact couch that is in the post and the chair in chair in the fabric above. We'll see how it all turns out! I know kiddos are sneaky, so I'll just have to lay down the law or something! The couch is gorgeous but I think white is crazy. My boys have ruined or attempted to destroy nearly everything in the house. However, girls might be a whole lot more considerate and careful. Goodluck it will look great (at least for the first year). We'll just have to wait and find out I suppose because they're ordered and paid for! We're expecting them just before she's due...end of September/beginning of Oct.